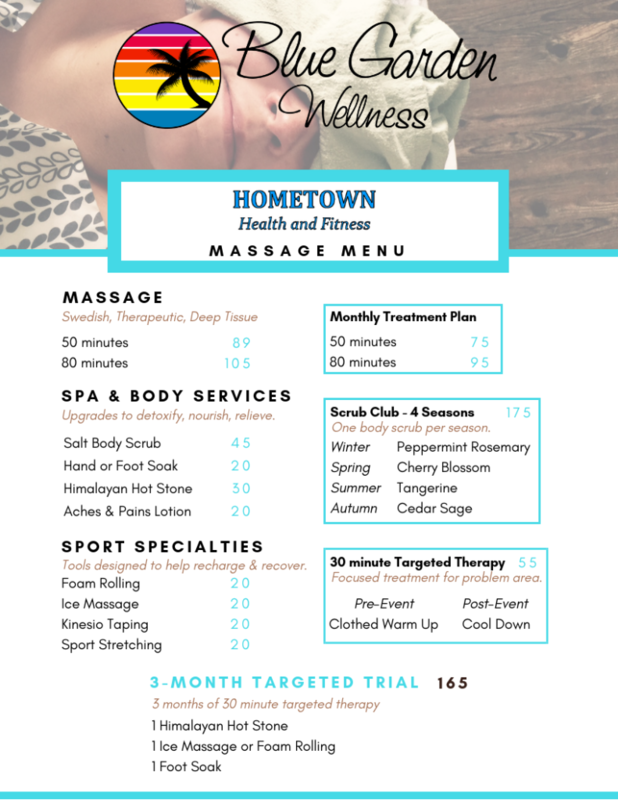 Locals love our Massage Services at Hometown Health & Fitness! Our program specializes in recovery, helping to make the most of workouts and your overall health regime. Offered in a private massage lounge, our menu features only high-quality, natural products. Select Services include professionally-designed combinations of sports massage, therapeutic recovery, foam rolling, ice massage, and Kinesio Taping. Blue Garden Wellness is a family-owned business that specializes in accommodating sessions that fit into your busy schedule. Visit our Membership page to learn about flexible membership options for regular massages to help you be the best you’ve been in years!